Rudimental have confirmed the details for their upcoming album. The British drum and bass band – composed of Kesi Dryden, Amir Amor, DJ Locksmith and Piers Agget – have christened their third studio collection “Toast to Our Differences” and will release it on September 7th via Major Tom’s Music in partnership with Asylum Records (UK) and Atlantic Records (US). Current promotional single “Let Me Live” – featuring Major Lazer, Anne-Marie, and Mr. Eazi – is now available via iTunes, Apple Music, Amazon, Google Play, Tidal and all other digital streaming platforms. The follow-up to 2015’s “We the Generation” boasts further guest appearances from Jess Glynne, Dan Caplen, Raye, Maverick Sabre, Yebba, Kevin Garrett, Shungudzo, James Arthur, Raphaella, Maleek Berry, Ladysmith, and Chronixx. See the tracklisting for “Toast to Our Differences” below. 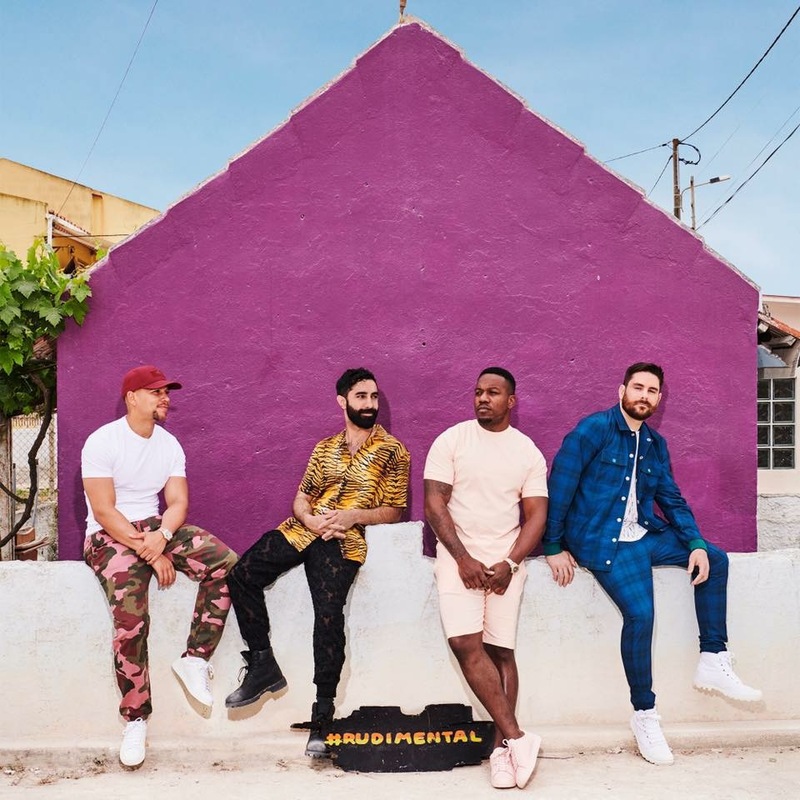 British drum and bass band Rudimental – composed of members Kesi Dryden, Amir Amor, Piers Agget, and Leon “DJ Locksmith” Rolle – have unleashed their new promotional single online. “Sun Comes Up” – featuring James Arthur – is now available via iTunes, Apple Music, Amazon, Google Play, Tidal and all other digital streaming platforms. Fans of Lowe’s songwriting and production works should also keep an eye on the next releases by Ray BLK, Sam Smith, Ella Henderson, Stanaj, Paloma Faith, Alex Aiono, Leona Lewis, Zak Abel, Anne-Marie, David Guetta, Kenzie May, DAGNY, KStewart, Nick Jonas, Kiah Victoria, and MØ. Meanwhile, Rudimental are expected to drop the follow-up to 2015’s “We the Generation” later this year via Major Tom’s Music in partnership with Asylum Records (UK) and Atlantic Records (US). The still-untitled collection reportedly boasts further contributions from Sam Romans, Grace Barker, Jonny “Ghostwriter” Harris, Rachel “RAYE” Keen, Evan “Kidd” Bogart, Cara Salimando, James Newman, Arrow Benjamin, Jim Eliot, Andrew Jackson, and Camille “Kamille” Purcell. Listen to the audio clip for “Sun Comes Up” below. Rudimental have announced the details for their new single. The British drum and bass band – composed of Kesi Dryden, Amir Amor, Piers Agget, and DJ Locksmith – have christened “Sun Comes Up” as the first promotional cut from their upcoming third album and will release it on June 30 via iTunes and all other digital streaming outlets. Lowe has also contributed to the next projects by Ray BLK, Sam Smith, Ella Henderson, Stanaj, Paloma Faith, Alex Aiono, Leona Lewis, Zak Abel, Anne-Marie, Astrid S, David Guetta, Kenzie May, DAGNY, KStewart, Nick Jonas, Kiah Victoria, and MØ. Stream “We the Generation” below. British singer/songwriter Camille Purcell, professionally known as Kamille, has teamed up for with Rudimental for a new collaboration. Purcell’s songwriting resume boasts works with Little Mix (“Shout Out to My Ex”), Olly Murs (“Grow Up”), Fleur East (“Sax”), Ella Henderson (“Glow”), Sigma (“Find Me”), Leona Lewis (“Mr. Right”) and The Saturdays (“What About Us”). Her upcoming debut album – featuring contributions from Chris Loco, Two Inch Punch, Dantae Johnson, and Goldfingers – is expected to arrive later this year via Universal Music Group / Virgin EMI Records. 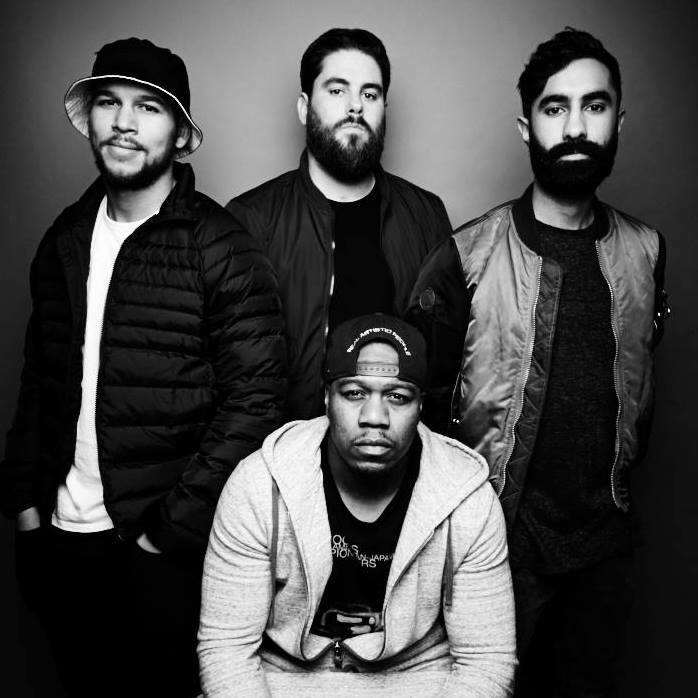 Meanwhile, Rudimental – composed of Kesi Dryden, Amir Amor, Piers Agget and DJ Locksmith – are currently working on their upcoming third album under Major Tom’s Music and Asylum Records (UK) / Atlantic Records (US). The follow-up to 2015’s “We the Generation” reportedly features alliances with Sam Romans, Grace Barker, Jonny “Ghostwriter” Harris, Rachel “RAYE” Keen, Evan “Kidd” Bogart, Cara Salimando, James Newman, Arrow Benjamin, Cass Lowe, Jim Eliot, and Andrew Jackson. Fans of Kamille’s songwriting works, on the other hand, should keep an eye on the next releases by The Script, David Guetta, Louis Tomlinson, Jess Glynne, Ella Henderson, Rita Ora, Tamera Foster, Sigala, Era Istrefi, Calum Scott, Wiz Kid, and Ella Eyre. Raye has hinted at a new collaboration with Rudimental. “Unstaged @rudimentaluk #choonz #fun,” the British singer-songwriter posted to her Instagram account on Tuesday (October 25, 2016). Raye previously co-wrote Blonde’s hit single “All Cried Out” – featuring Alex Newell – which peaked to number four on the UK Singles Chart. She also provided guest vocals on Nas’s “War,” taken from the original motion picture soundtrack, “Birth of a Nation” [Atlantic Records]. Her mini-collection “Second” – featuring contributions from Charli XCX, Noonie Bao, Frederick Gibson, Michael “BloodPop” Tucker, and Rob Knox – is now available for download via iTunes in partnership with Polydor Records. Meanwhile, Rudimental – consisting of Kesi Dryden, DJ Locksmith, Amir Amor and Piers Agget – are expected to release their third studio collection in 2017 via Major Tom’s Music in partnership with Asylum Records and Atlantic Records. The still-untitled project reportedly delivers alliances with Sam Romans (Gavin James), Evan Bogart (Jason Derulo), Arrow Benjamin (Ella Henderson), Jim Eliot (Ellie Goulding), Jonny Harris (Foxes) and James Newman (Mollie King). Rudimental’s previous album, 2015’s “We the Generation,” debuted at number one on the UK Singles Chart and delivered guest appearances from Ed Sheeran (“Lay it All on Me”), Lianne La Havas (“Needn’t Speak”), Ella Eyre (“Too Cool”), Anne-Marie (“All That Love”) and Sinead Harnett (“Treading on Water”). Watch the music video for “I, U, Us” below.